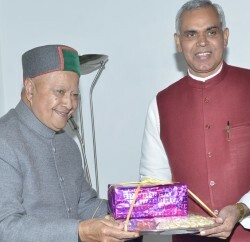 Chief Minister Virbhadra Singh would flag off 15th Raid-de-Himalaya, 2013 from Shimla on 5th October, 2013. This was revealed by V.C. Pharka, Principal Secretary to Chief Minister and Principal Secretary Youth Services and Sports while presiding over a meeting convened to co-ordinate necessary arrangements for organising this event here today. Pharka said that this would be the 15th Consecutive 15th Raid-de-Himalaya and will start from Shimla on 6th October, 2013. He said that the first leg of the event would finish on 6th October itself and after taking off from Shimla will traverse through Matiyana, Nag Jubbar, Kotighat, Kangal, Jhanjeli, Chamola, Luhri, Jameri, Panjvi, Karki, Koti, Batore, Shush, Khanag and will rest at Manali. 2nd leg of the event will commence on 7th October, 2013 and after starting from Manali it will pass through Palchan, Marhi, Rohtang Pass, Gramphoo, Chattru, Chotta Darra, Batal, Chandertal, Kunzum La, Takcha, Losar and will take halt at Kaza. He said that the third leg of this mega event will take off on 8th October, 2013 from Kaza and will move through Hikkim, Langza, Komik, Demul, Lidang, Atargo, Lingti, Dhankar, Sichiling and will again halt at Kaza. 4th leg after taking off from Kaza, would pass through Keylong, Sarchu and will rest at Pang on 9th October, 2013. 5th legs of the 15th Raid-de-Himalaya would take off from Pang and will pass through Tanglangla and will reach Leh in Jammu and Kashmir on 10th October 2013. Shri Pharka said that the 6th leg of the event after pushing off from Leh on 11th October would move through Wari La, Khalsar and back to Leh. 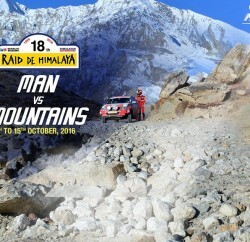 15th Raid-de-Himalaya will finish on 11th October and Prize distribution ceremony will be held at Leh on 12th October, 2013. He said that 150 teams from India and abroad would participate in the event and the Raid would run two parallel categories, the Xtreme and the Adventure Trial. 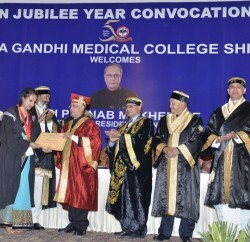 He said that State Government would provide Helicopter services to meet any emergency during the event. Pharka directed Police and Health departments to nominate nodal officers for the event for better co-ordination in their respective districts. Principal Secretary, YSS said that to save people from inconvenience and school going children from facing hardships, the rally would push off in early morning hours. The event is being organised by Himalayan Motorsport Association Shimla. Narinder Chauhan, Principal Secretary, PWD, Subhasish Panda, Secretary, General Administration and Director Tourism, Pardeep Chauhan, Engineer-in-Chief PWD, Kamal Sharma, Director Youth Services and Sports, Dinesh Malhotra, Deputy Commissioner Shimla, Vijay Parmar, President, Himalayan Motor sport Association and representatives of Health, Police, Information and Public Relations, HRTC, Municipal Corporation, Shimla and ABV Mountaineering Institute, Manali were present among others in the meeting.